We are currently training some puppies to be listed early 2019! Interested in one? Let us know! Hi ! 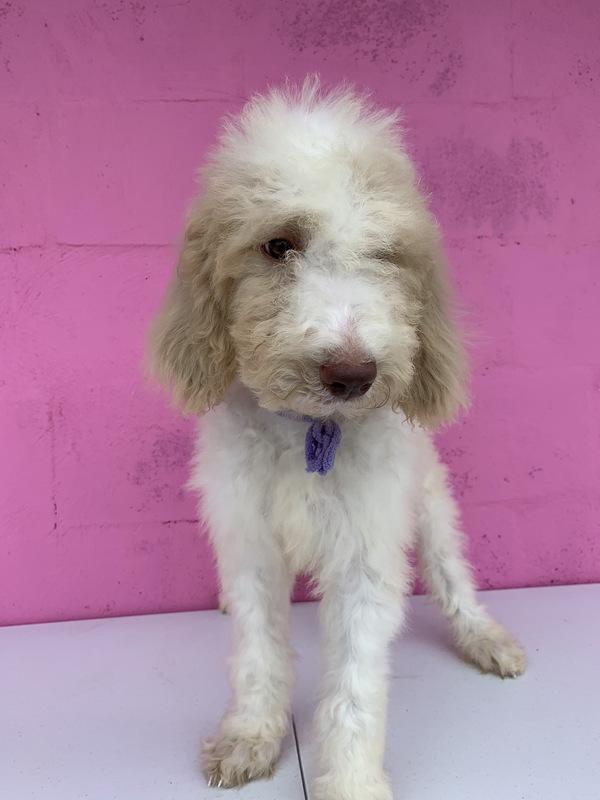 I am a 14 week old female. I should be about 50-55 lbs when I grow up. My mom and dad are Irie and Zeke. I am working on basic commands like sit, stay, down, come, and most importantly no! I am working on house training, am crate trained, and I go into my kennel on my own at night. I love playing and I can't wait to play with you! Hi! 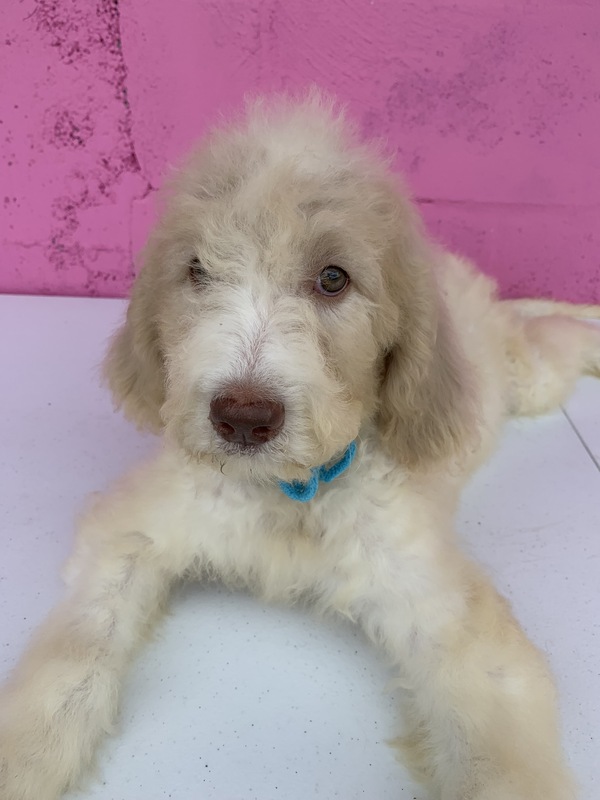 I am a 14 week old female F1bb Goldendoodle. My mom and dad are Irie and Zeke and I'll grow up to be about 50-55 lbs. I am working on house training, am crate trained, and have started learning my basic commands. I am very lovable and enjoy playing with Ashton! Interested in an older dog? Check out our retired dogs here!